Mitochondrial DNA (mtDNA) indicates that all women have descended from a single woman, called mitochondrial Eve.1 This does not prove that she was the only woman alive at the time, but is consistent with it. High mutation rates indicate that this ancestor lived at about the time of the biblical Eve as well. A critic has tried to discredit this creationist case. However, he has nothing more than special pleading to explain away data that contradict his materialist paradigm. And he misrepresents the logic of the case—creationists have always used this as evidence consistent with the Bible, while he misrepresents them as using it as proof. I explained how the mitochondrial Eve findings were in line with biblically based expectations. While not proving the biblical Eve, they were consistent with her reality, and were not predicted by evolutionary theory. However, the dates assigned to mitochondrial Eve had been said by evolutionists to rule out the biblical Eve. But these dates were based upon ‘molecular clock’ assumptions, which were calibrated by evolutionary beliefs about when certain evolutionary events occurred, supposedly millions of years ago. 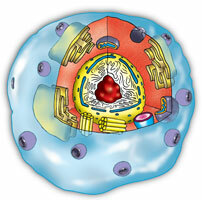 When these assumed rates were checked out against the real world, preliminary results indicated that the mitochondrial ‘molecular clock’ was ticking at a much faster rate than evolutionists believed possible.3 That is, it directly ‘challenges’ the evolutionary long-age claim. If correct, it means that mitochondrial Eve lived 6,000 to 6,500 years ago, right in the ballpark for the true ‘mother of all living’ (Genesis 3:20). 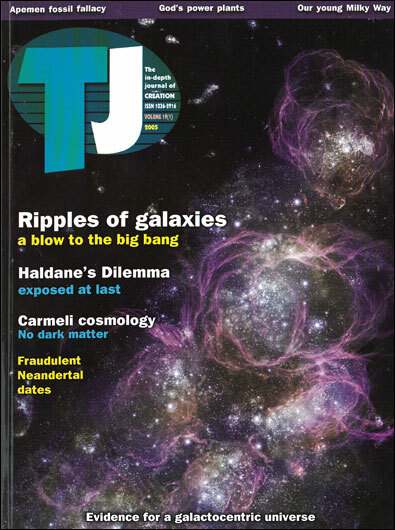 In many ways, MacAndrew’s critique of my article appears to have been written more for its ‘effect’ on the average reader, trying to make creationists appear ill-informed or worse. It is easy to verify that I spent several paragraphs explaining this further. So MacAndrew himself has either not understood my article very well or has deliberately misrepresented it. This impinges on his credibility right from the start. Christians who believe in the biblical chronology do not need to be intimidated by alleged ‘absolute dates’ given to mitochondrial Eve because the dates are based on calibrations given by evolutionary assumptions. In fact, some measured mutation rates have given dates, using similar assumptions, consistent with the biblical chronology. ‘Note that if recombination does occur, the matrilineal MRCA of humans would be older than the current estimate of 150,000 to 200,000 years’ [emphasis in original]. So why even mention it? Presumably, it serves his apparent purpose of adding to the length and ‘scientific impact’ of his paper, despite its being irrelevant. It is very significant that MacAndrew admits, both explicitly and implicitly, that the ‘normally accepted’ mutation rate is calibrated by evolutionary assumptions. Hence, any conclusions on the date of mitochondrial Eve based on such long-age evolutionary assumptions, regardless of any other ‘challenge’ to the long-age scenario from observations, are at best only circular. This is an obvious straw man, presumably erected for polemical effect. Not only did I not imply it, but no-one in their right mind would expect an evolution-dominated science establishment to accept a date for the MRCA of 6,500 years, no matter what the data. Instead, they would be motivated to search diligently for alternative hypotheses and submodels to explain the data which is outside the paradigm. 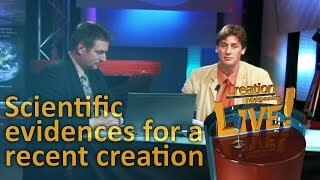 They can always propose/massage auxiliary hypotheses to protect the core one (in the evolutionists’ case, naturalism), as philosopher of science Imre Lakatos showed.7 This is normal—creationists do the same in similar circumstances, but let’s be straight about what actually happens in the real world. 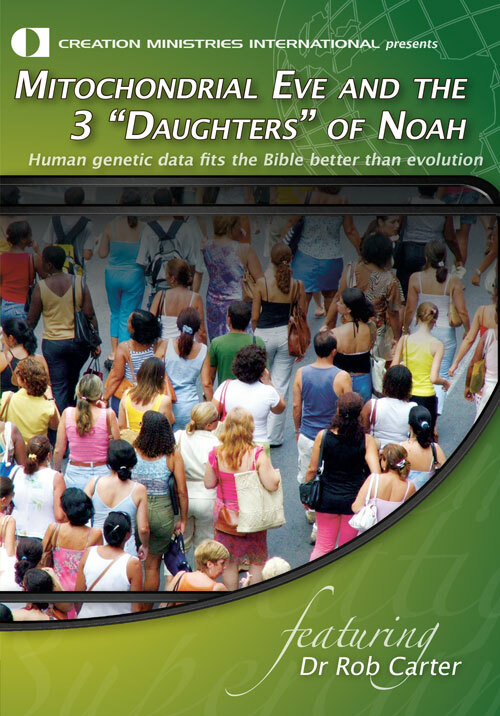 There is no reason at all why mitochondrial Eve could not be the biblical Eve. In my article I then present evidence which is consistent with that presupposition. MacAndrew’s ‘explanations’ are essentially of a defensive nature, to try to show why the data presented in the several papers which found high mutational rates does not, at face value, support his axioms. One of MacAndrew’s possible explanations is ‘Statistical variation in small samples’. But he admits that pooling the data still gives a date which is five times younger than that based on evolutionary assumptions. He talks of needing to consider whether mtDNA ‘does in fact mutate at a fixed rate’. Agreed. But that would simultaneously render vulnerable any argument for long ages based on mitochondrial substitutions, and so would tend to neutralize opposition to the possibility of mitochondrial Eve being the biblical Eve. The same criterion of assessment needs to be applied to the rest of his list of ‘possible explanations’, which are subsequently delivered as more or less the assured results of ‘subsequent research’. Also, it is no surprise to hear him say that RFLP8 analysis is ‘not appropriate’ compared to ‘whole genome sequencing’. If RFLP had not delivered results that were antiparadigm, would it have been regarded as inappropriate? The Ingman et al. results fit the paradigm, so they are ‘by definition’ appropriate. Note also my comments in the original paper emphasizing the need to be aware of special pleading to ‘explain away’ the results I highlighted. Special pleading does not mean that one is necessarily wrong, of course, but it helps open a reader’s philosophical eyes to be aware of it. And I do not think that the ‘burden of proof’ I referred to has in fact been adequately met in the MacAndrew article, despite his bold attempt to paper over the deficiencies with a suitably wordy ‘barrage’. But we would recognize all along (and have often stated) that no calculated date (even one that supports a biblical conclusion) is free of non-provable assumptions and hence cannot be used to ‘prove’ the Bible. All that MacAndrew has really done is highlighted this fact, that there are assumptions involved in the 6.5–ka calculations. If I were an objective outside observer (if there can ever be such a thing), I would think it reasonable to conclude that it is futile to attach much definitive significance to any of the ‘dates’ derived from such calculations, because of the obvious problems and uncertainties. Thus, there is no reason at all why mitochondrial Eve could not be the biblical Eve, which was my article’ main message. Carter, R., Taking a crack at the Neandertal mitochondrial genome; 16 September 2008. A more detailed version of this paper appeared in the Journal of Creation: The Neandertal mitochondrial genome does not support evolution. The molecular clock concept and its problems were also discussed in relation to the Out of Africa theory of human origins: The Neutral Model of evolution and recent African origins. Editor’s note: Though this sentence is technically true, it was a slip and should read ‘all people’, not just ‘women’. However, since this is a web archive of our Journal, and the slip was in the printed original, this footnote has been inserted instead of modifying. Return to text. Wieland, C., A shrinking date for Eve, Journal of Creation 12 (1):1–3, 1998. Return to text. Loewe, L. and Scherer, S., Mitochondrial Eve: the plot thickens, Trends in Ecology and Evolution 12 (11):422–423, 1997. Return to text. 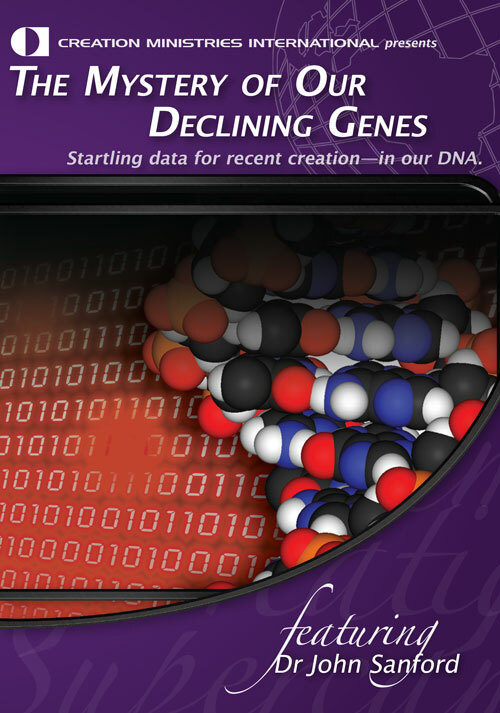 Lubenow, M.L., Recovery of Neandertal mtDNA: an evaluation, Journal of Creation 12 (1):87–97, 1998. Return to text. MacAndrew, A., Misconceptions around mitochondrial Eve: a critique of Carl Wieland’ AiG article on mitochondrial Eve, <www.evolutionpages.com/Mitochondrial%20Eve.htm>, 9 February 2005. Return to text. ’Battle over evolution’, Bill Moyers interviews Richard Dawkins on Now, 3 December 2004, PBS network; <www.pbs.org/now/transcript/transcript349_full.html#dawkins>. Return to text. Wieland, C., If you are truly scientists [response to critic], 7 February 2003. Return to text. Restriction Fragment Length Polymorphism Return to text. That does not, of course, preclude the possibility that there may be one, but his paper did not provide it. Return to text.